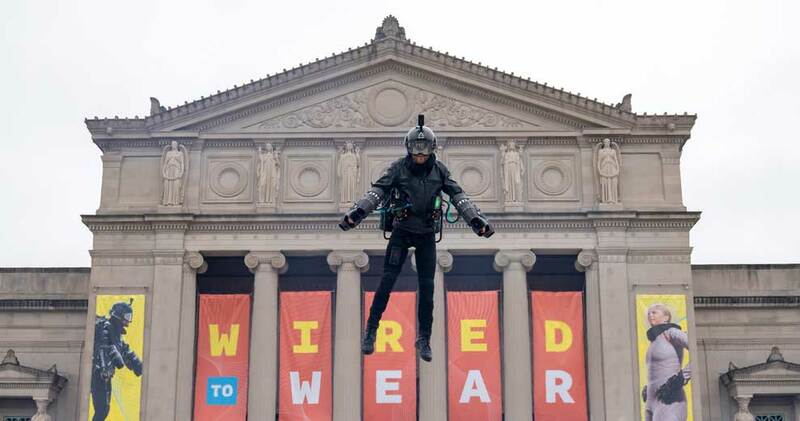 New to the Museum of Science and Industry, Chicago (MSI), Wired to Wear is the first-ever exhibit dedicated to the future of wearable technology. The 8,000-square-foot exhibit brings together cutting-edge technologies from industry pioneers and creative visionaries, showcasing how clothing is becoming infused with tools to make us stronger, smarter, and healthier. Students can marvel at more than 100 artifacts that represent the most cutting-edge technology from across this emerging industry. SpiderSense Vest: Created by Chicago-based entrepreneur Victor Mateevitsi, Ph.D., and built by technological futurist firm Quantum XPR, the vest students will put on provides haptic feedback as they navigate through an obstacle. Iridescence: Created by renowned designer and technologist Behnaz Farahi, this collar’s quills use hundreds of actuators and vision-activated technology to follow your gaze and react with life-like behavior. For example: When an angry face is detected, the collar expresses anxiety with fast jittery movements. Smart Tattoo: Placed on mannequin arms, the conductive tattoos, designed by Microsoft, turn the body into an interface. Students will be able to touch the tattoo to create notes on an instrument and even control lighting. Gravity Industries’ Jet Suit, which comprises five miniature jet engines and an exoskeleton and can travel more than 30 miles per hour and ascend to 12,000 feet. Nike’s self-lacing shoes from Back to the Future Part II, on loan from the collection of Ripley’s Believe It or Not!, along with Nike’s HyperAdapt 1.0, and the recently announced Nike Adapt BB shoes. Seismic’s Powered Clothing™, a lightweight alternative exoskeleton providing extra strength for standing and sitting to help reduce injury and preserve mobility. Dainese’s D-Air Racing Suit, which monitors the wearer’s position 1,000 times per second to determine if embedded airbags need to instantaneously inflate to protect the wearer from injury. As an institution dedicated to hands-on learning, MSI is simultaneously launching Makers United, a complementary experience where guests will assemble their own wearable product. In Makers United, student groups get hands-on with circuit building and fabricated materials to make their own glowing circuit band and connect with the maker experience. They’ll also learn about the ever-growing maker movement—a culture that encourages curiosity, creative thinking and hands-on building. Student groups will experience a world-class science museum, with award-winning special exhibitions, for a memorable day of discovery and exploration. 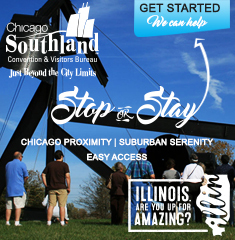 Groups of 15 or more receive discounts on museum entry and special exhibitions, with a prepaid advance reservation. Ready to spark your creativity? Learn more about Wired to Wear, Makers United and booking your group visit to MSI by contacting Amy Tometich at 773.947.3179. Courtesy of the Museum of Science and Industry. Photo courtesy of J.B. Spector/Museum of Science and Industry.